Highly awaited Rajinikanth starrer Kaala has finally received a clear release date. Kaala, a gangster movie written and directed by Pa. Ranjith, will see a 7 June worldwide release. Dhanush, who is the producer of the movie, tweeted confirming the news. He wrote, "Happy to announce that Superstar’s #Kaala will release on June 7th in all languages worldwide". The posters for the movie were also tweeted by Dhanush along with the movies new release date. 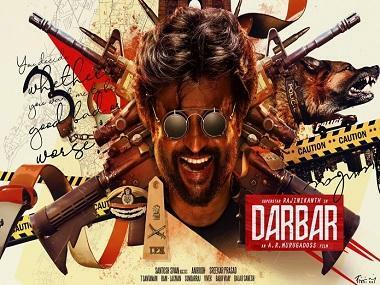 The film's release was postponed due to the producers' strike in Kollywood, but after the withdrawal of the strike was announced there were news reports which said that the Rajinikanth movie will go head-to-head with Salman Khan's Race 3. But now, Kaala's release has been advanced by a week to avoid clash with Race 3. The film will release in the Tamil, Telugu and Hindi languages. The plagiarism case against Kaala was also squashed by the Madras High Court, and the path for the film's release is now finally clear. Apart from Rajinikanth. Kaala also stars Nana Patekar, Samuthirakani, Eswari Rao, Huma Qureshi and Anjali Patil. Dhanush will make a special appearance in the movie.